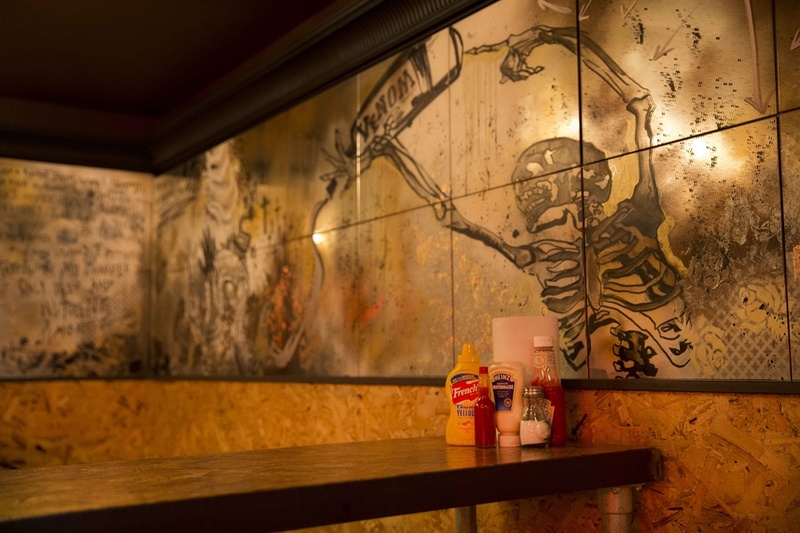 Experience dining in an edgy, urban and blood-spattered environment. 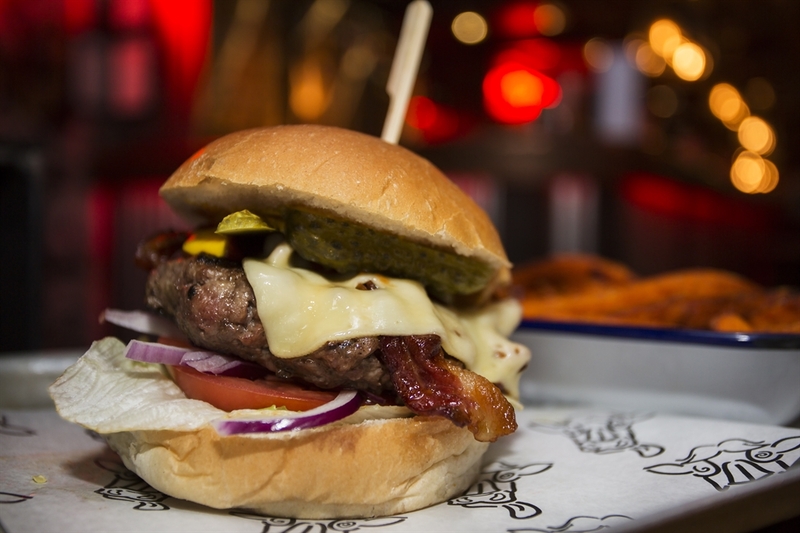 Basement bar and restaurant based in the city centre of Edinburgh serving outrageously delicious burgers, hot dogs, milkshakes, craft beers and cocktails. All profits donated to charity. 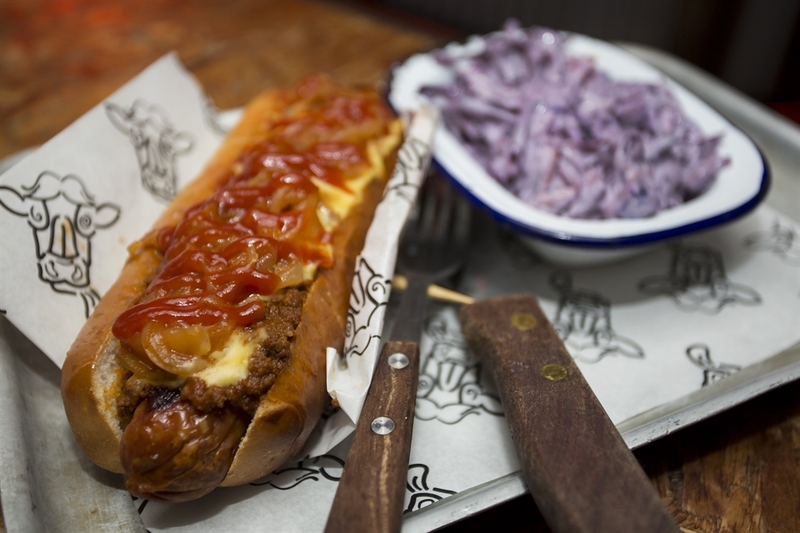 Tuck into a tasty burger or hot dog inside our edgy underground cave of awesome. 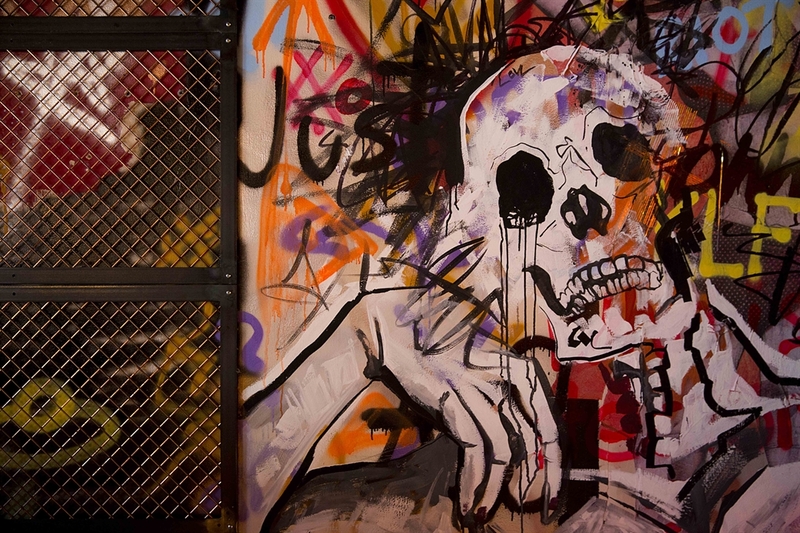 Picture this: an entire restaurant covered in neon signs, paint splatters and grafitti wall art picturing everything from tigers to wonder-woman. 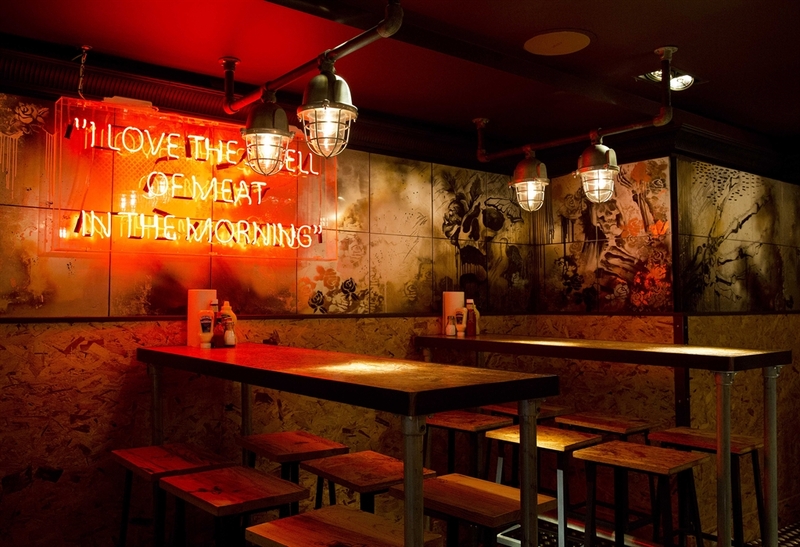 It’s not just about our outrageous interiors. 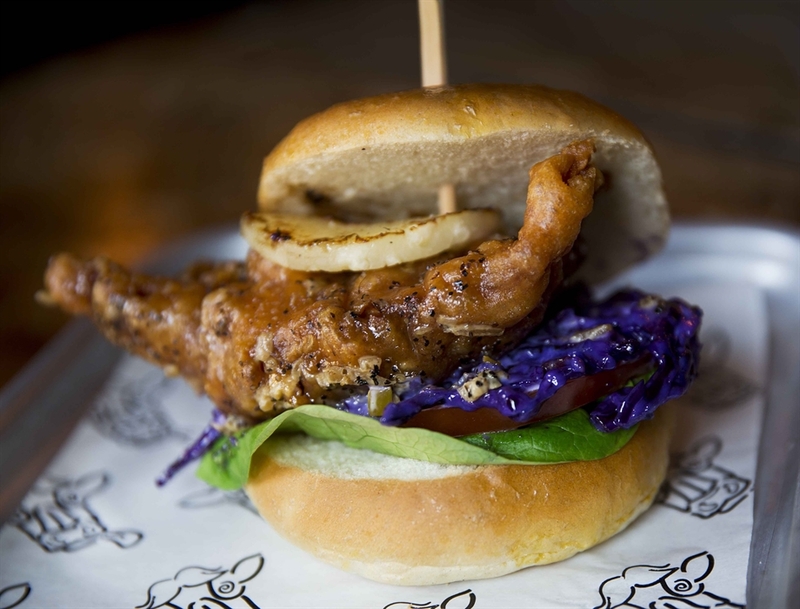 At the Boozy Cow a whole lot of love has gone into fusing locally sourced and specially selected ingredients to create a mouth-watering menu bursting with flavour and oozing with tasty goodness. 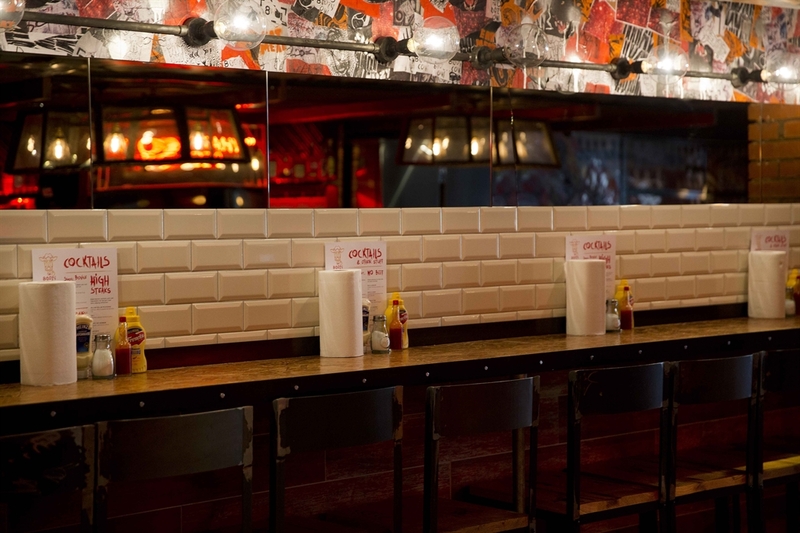 We encourage our diners to really get 'stuck in' to our food. 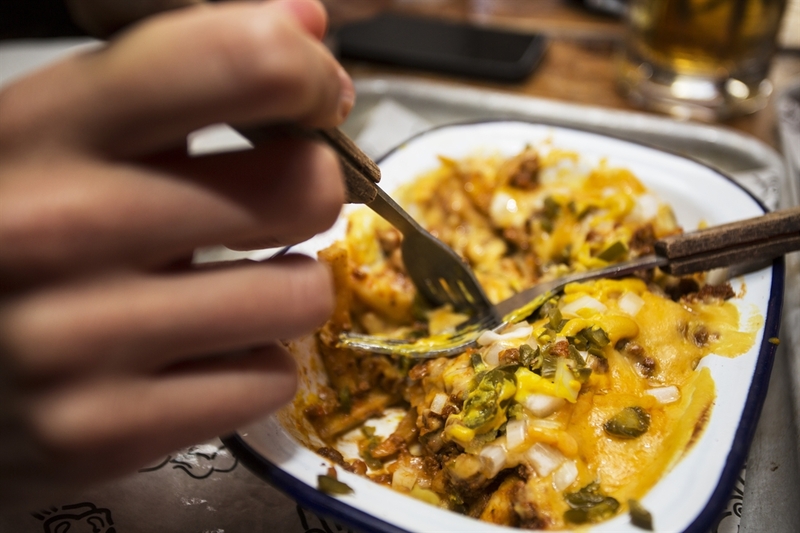 Every meal is served on a tray which makes for easy sharing and you will receive the minimal amount of cutlery that is socially acceptable. Just use your fingers! You will get plenty of kitchen roll and wet wipes so don't be afraid to get dirty! 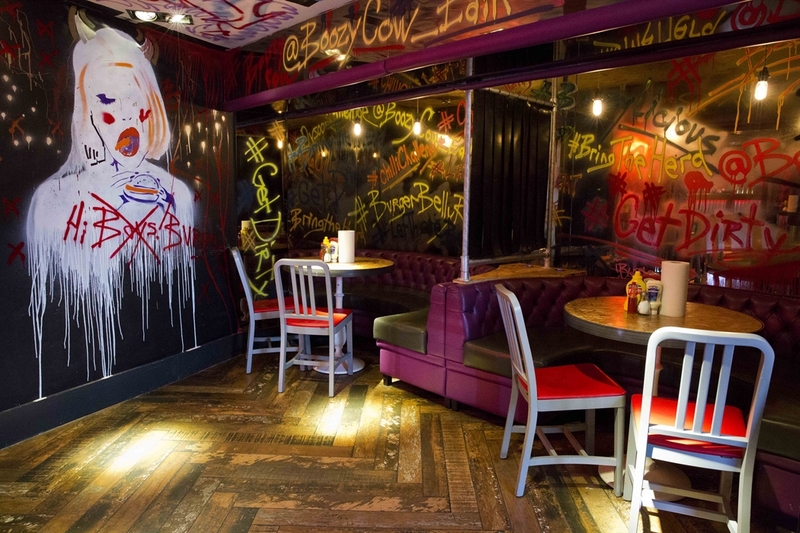 Aside from serving finger-lickingly good food we also serve a large range of boozylicious cocktails which are truly bovine! We have a talented bar staff (award-winning, even) ready to serve up exciting and different cocktails that will tingle your taste buds. 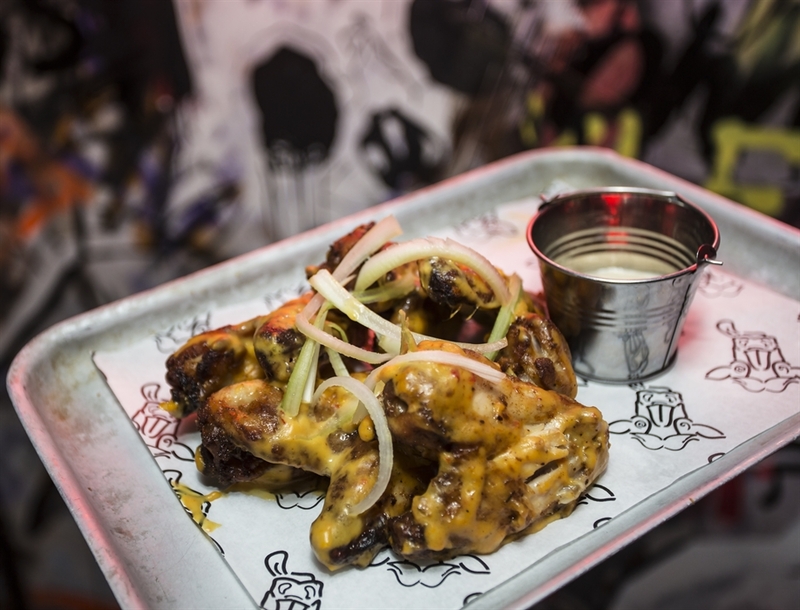 We’re open till 1am seven days a week so you’re welcome to come party until the cows come home with weekly DJs, Hip Hop sessions on Tuesday and acoustic Thursdays. 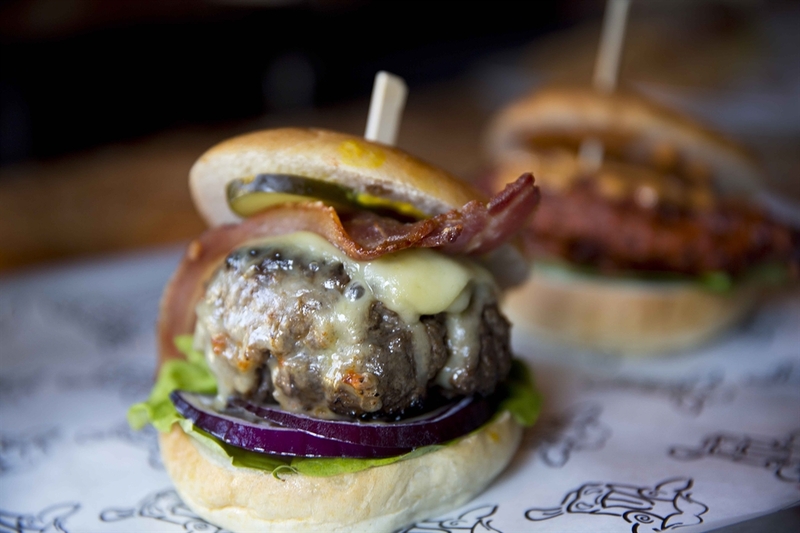 Every week our chefs devise a new and whacky burger, milkshake and cocktail to amuse and delight the public. 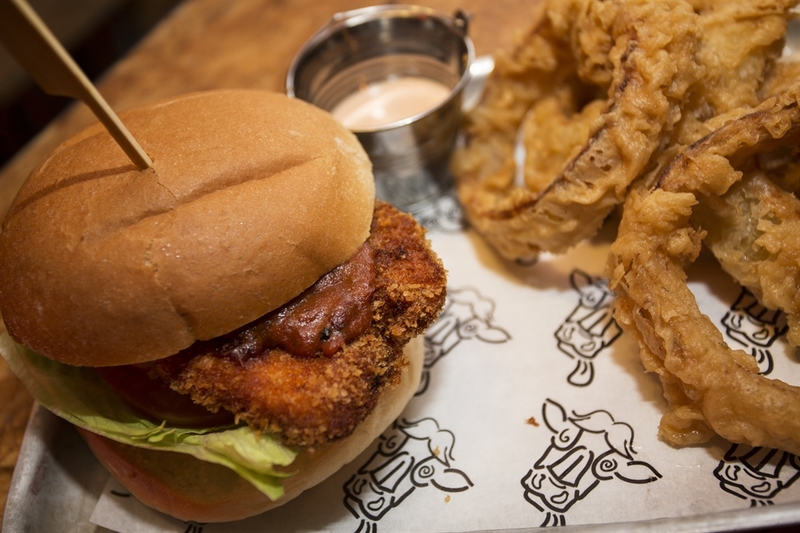 Past specials have included a coco-pops chicken burger, key lime pie milkshake and a salted caramel white Russian. Be sure to ask staff what this week's special is! 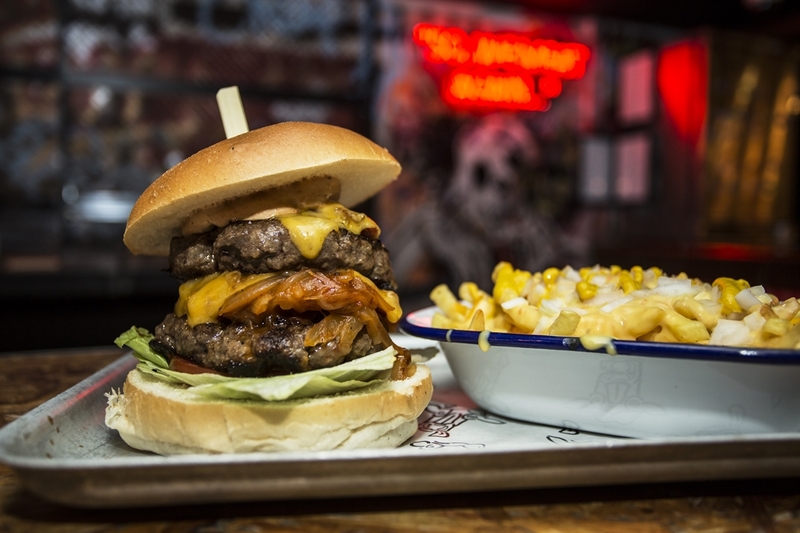 Still needing a reason to pay us a visit? Where possible we source local ingredients and work with local suppliers. 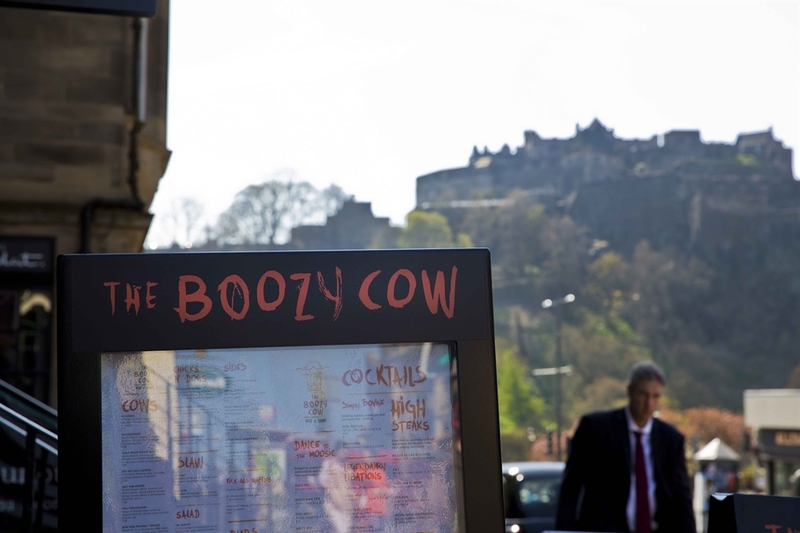 In addition to supporting local businesses, all profits from the Boozy Cow Edinburgh are donated to selected local charities. These include CHAS, STV Children's Appeal and others.